Bolter Golden Spin (Race 6, Caulfield) Unwanted in betting ($11 – $18) in what looked on paper an even race, Golden Spin proved that his last start Moonee Valley victory was no fluke and he may be a horse with a good future as he ran down Cool Snitzel and held off Chase The Horizon and Badajoz. That’s three straight for the son of Medaglia D’Oro and he’s another lightly raced talent for the Freedman camp who no doubt will look to some black type shortly for him..
Warwick Farm horseman David Vandyke is the latest trainer to be entrusted with turning the career around of proven Group I performer Bull Point.victory was no fluke and he may be a horse with a good future as he ran down Cool Snitzel and held off Chase The Horizon and Badajoz. That’s three straight for the son of Medaglia D’Oro and he’s another lightly raced talent for the Freedman camp who no doubt will look to some black type shortly for him..
Bull Point has spent time with a variety of trainers during his 22-start career, including stints with Gai Waterhouse, Chris Waller, and Tony McEvoy. The horse's first 10 race starts were under the tutelage of Waterhouse, over which time he won a Group III race and finished third in the Group I Golden Rose (1400m) as a three-year-old. 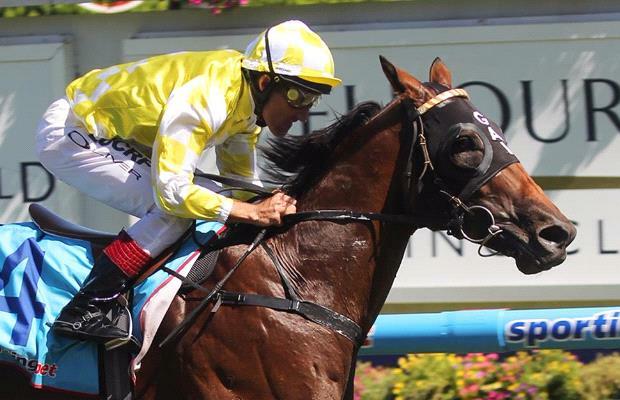 Being a son of the all-conquering Fastnet Rock, Bull Point's stallion prospects suddenly appeared promising but the last two years haven't exactly gone to script. The now five-year-old is winless since February 2014 and one would have to think the horse is on his final chance with Vandyke after two failed stints with Waller and McEvoy. Vandyke is under no illusions about the task he faces in trying to revitalize an out of form entire but has summer program mapped out. "He's got a lot of talent, it's just a matter of trying to extract that talent," Vandyke said. "He's been in the stable for a few weeks, he's had one trial and he wasn't asked to do too much. "He'll have another trial this Friday where we'll ask him for a bit more. Then he'll have a third trial and we'll go first-up into the Magic Millions Cup on the Gold Coast. "We're trying a few things with him and we'll just see how much progress we're making over these trials. "He may still make a stallion because he has the underlying ability to win a Group I, I believe." Bull Point is entered for the opening heat over 1200 metres at the Warwick Farm trials on Friday. Golden Spin (Medaglia D Oro – Turnstiles (NZ)) looks like a very astute purchase by Anthony and Lee Freedman from the 2013 Magic Millions National Yearling Sale on the Gold Coast. The colt is the first foal of very good racemare Turnstiles (NZ). The colt has won two of his first three starts and looks to have a bright future. Ridden by in form apprentice Jordan Childs from barrier 2, the colt travelled well to the turn and struggled to get clear running until the final 150m where he finally saw daylight and exploded through the gap to win by 0.5 length. The time was 1.11.86 sec (last 600m 35.41sec) for the 1200m. 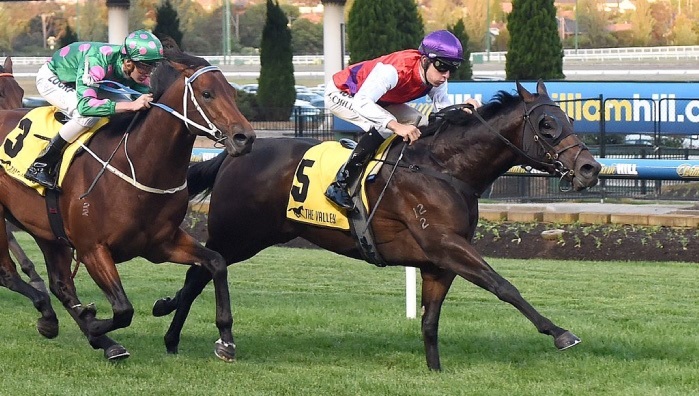 It has been some time since Bull Point won a race however trainer Tony McEvoy feels the stallion is capable of surprising punters in Saturday's Group I Sir Rupert Clarke Stakes (1400m) at Caulfield. 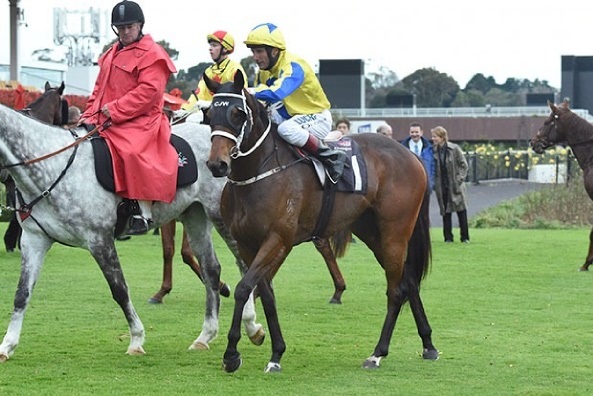 Enigmatic is possibly the kindest adjective used to describe Bull Point, which has not won in 14 starts since scoring for Gai Waterhouse in the Group III Manfred Stakes (1200m) at Caulfield last February. 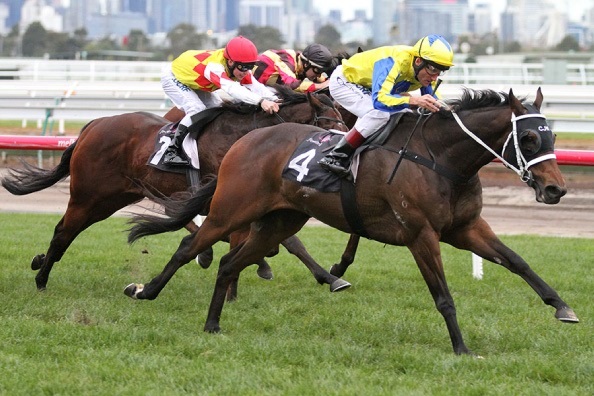 The five-year-old son of Fastnet Rock finished third behind Zoustar and Dissident in the Group I Golden Rose as a three-year-old and was third behind Trust In A Gust and Dissident in the Sir Rupert Clarke Stakes (1400m) last year when trained by Chris Waller. McEvoy said Bull Point was fitter for his two runs this time in and showing him on the training track he can still be competitive in feature races. "If he was working like a handicapper he'd be in a handicap but he is working like a Group I horse and deserves to be there on Saturday," McEvoy said. "I know his recent form is uninspiring. "His first run was terrible but I thought his last effort was much better, his condition just gave out late in a fast run race." 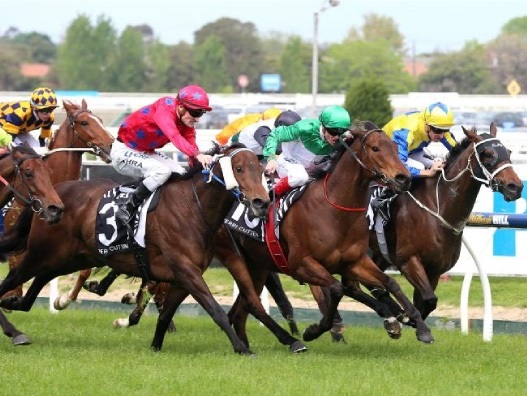 Bull Point resumed when last behind Bounding in the Group III Heath Stakes over 1100m at Caulfield on August 29 then at his last start was beaten four lengths into ninth place behind Disposition in the Listed Tontonan Stakes (1400m) at Flemington on September 12. In form apprentice Michael Dee will partner Bull Point in Saturday's $400,000 sprint. "He's only got 52 kilos on his back and it will not surprise me in the least to see him run very well," McEvoy said. Golden Spin (Medaglia D Oro – Turnstiles (NZ)) won at only his second start at Bendigo today. Purchased and trained by Lee & Anthony Freedman, the colt looks to have a bright future. Ridden by Ben Melham the colt saluted by 0.1 length on a soft track in a time of 1.19.11 sec (last 600m 36.24sec). Amovatio scored a well deserved black type win today at Flemington. The last start winner delivered the goods again with Damien Oliver on board. The Al Maher gelding gave Brad Spicer and his syndicate a great win in the 1600m Winter Championship (Listed) carrying the good horses weight of 60kg. 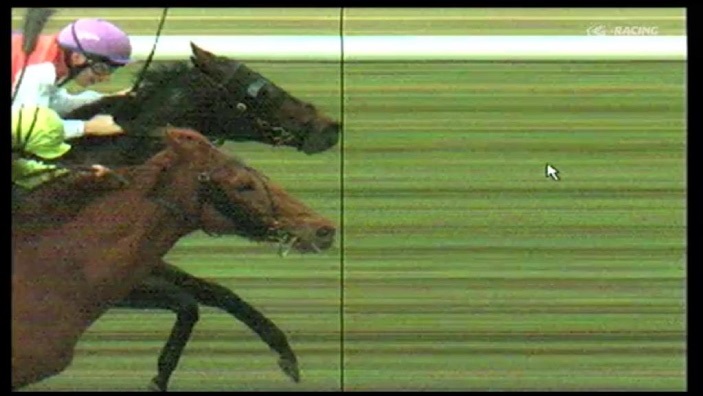 The time was 1.36.16 sec (last 600m in 34.8sec) and the horse powered home late to win by 0.1 length. 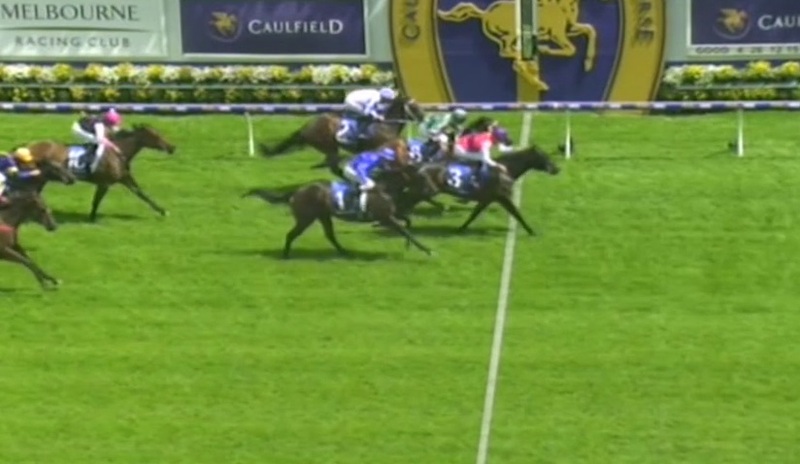 The Chris Waller trained Amovatio delivered the goods today. 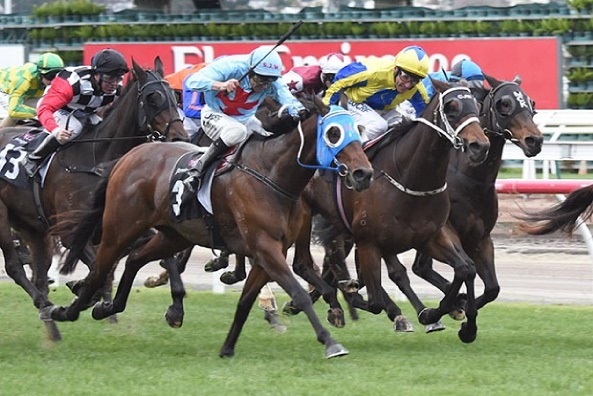 Ridden confidently by Damien Oliver from barrier 7 and carrying 57 ½ kg. 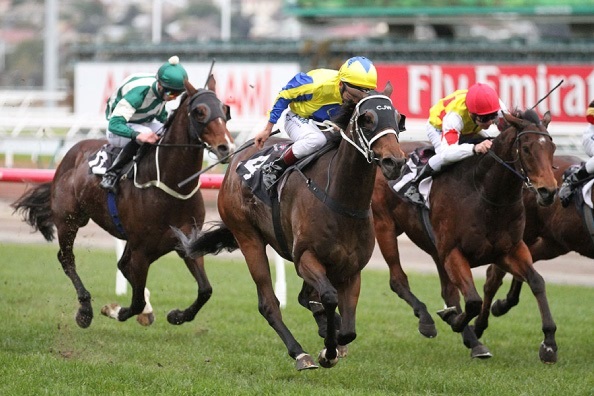 The gelding ran the 1400m in 1.23.07 sec (last 600m 33.99) in scoring by 1.25 lengths.